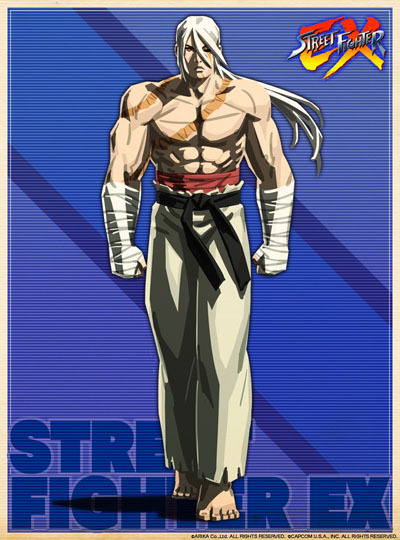 Kairi is one of the playable characters in the Street Fighter EX games by Arika. 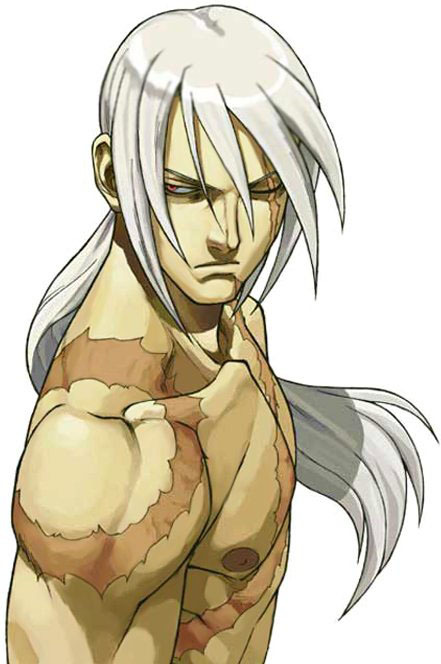 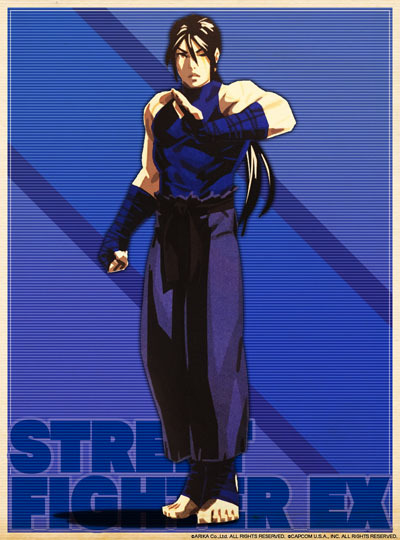 He debuted in Street Fighter EX (1996) as an unlockable character in the arcade version but was playable from the start in the Playstation version Street Fighter EX +Alpha (1996), he returned in Street Fighter EX2 (1999) and Street Fighter EX3 (2000) with a visual redesign and had to be unlocked in both games. 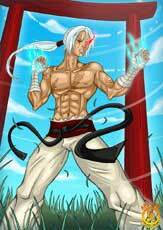 Kairi is the brother of Hokuto and Nanase and plays similar to the “Ansatsuken-style characters” like Ryu or Akuma. 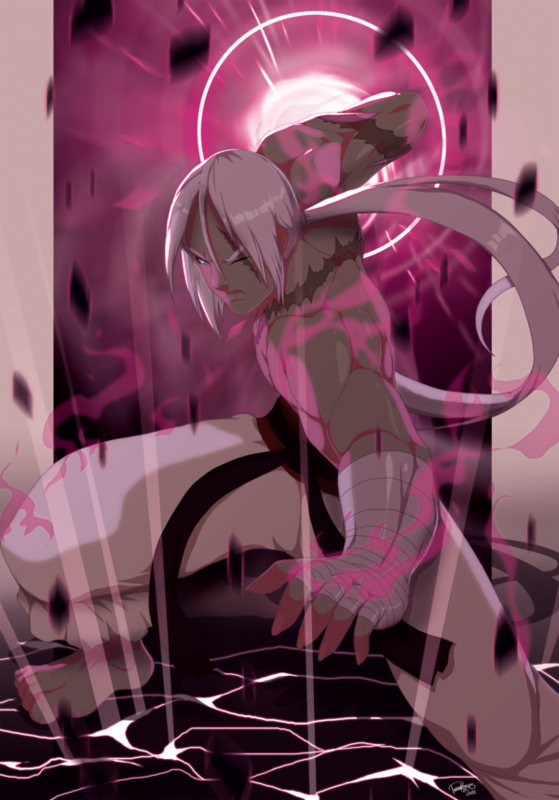 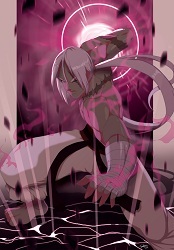 He found a power that can be described as similar to the Satsui No Hadou and Akuma’s Raging Demon technique. 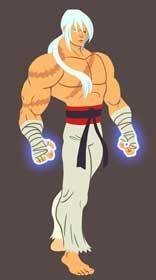 Kairi is a part of our Street Fighter Anniversary Tribute and was drawn for it twice in 2012.